Very interesting, thanks for this. 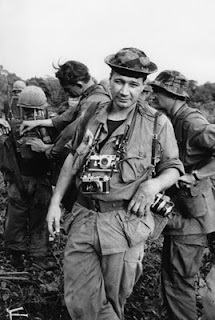 He was a great and influential photographer no doubt. However, the way this is written readers might surmise (unintentionally, I think) that Eddie Adams also took the photo of of the "naked Vietnamese girl running down a roadway after being scalded badly with napalm". For the sake of clarity it should be mentioned that Adams did not take that iconic photo, it was done by another photographer, Nick Ut. Thank you for your post. Although we can not edit the original article, we have added a link to Nick Ut's photograph. We hope that elps avoid confusion.